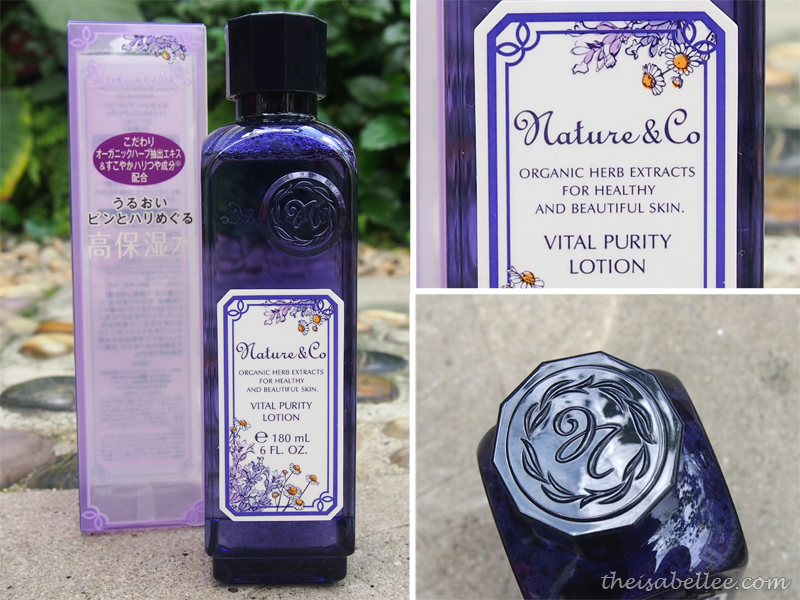 My post will be focused on the Nature & Co products which I got during a mad sale. 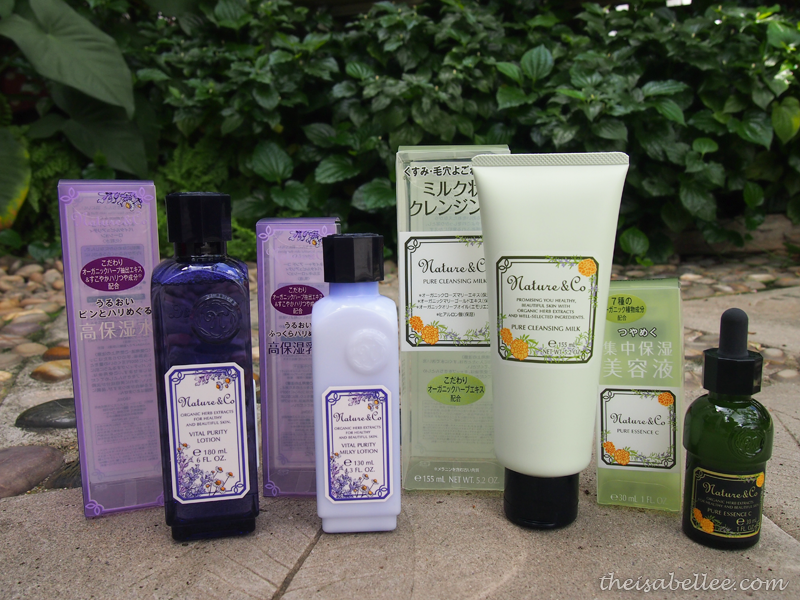 The lotion & milky lotion were RM 38 only! If you want to grab some great deals, you should drop by their Sales section once in a while to find out what they have on offer. First of all, I found it strange that the lotion and milky lotion were contained in light plastic bottles but the serum had a bottle that seemed like glass. I found the inconsistency strange but the design is pretty so oh wells.. I especially liked the cap here. I didn't find it special as a lotion. It was refreshing but the heavy scent of perfume was too strong for my liking. The Asian term 'milky lotion' here basically refers to a moisturizer. It has the same overpowering perfume smell as the lotion. Now, imagine layering these two! 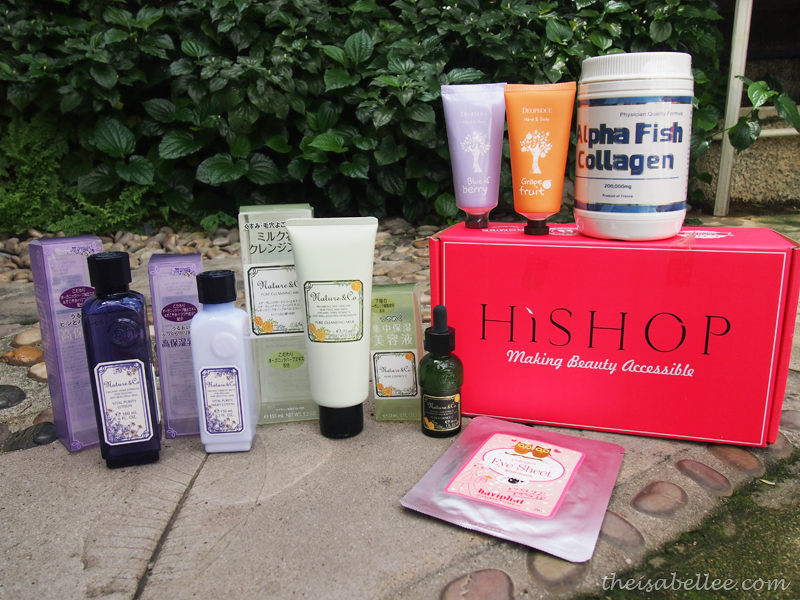 I have combination skin and I didn't like how it made me feel oily after a while. My sister who has dehydrated skin didn't complain though. 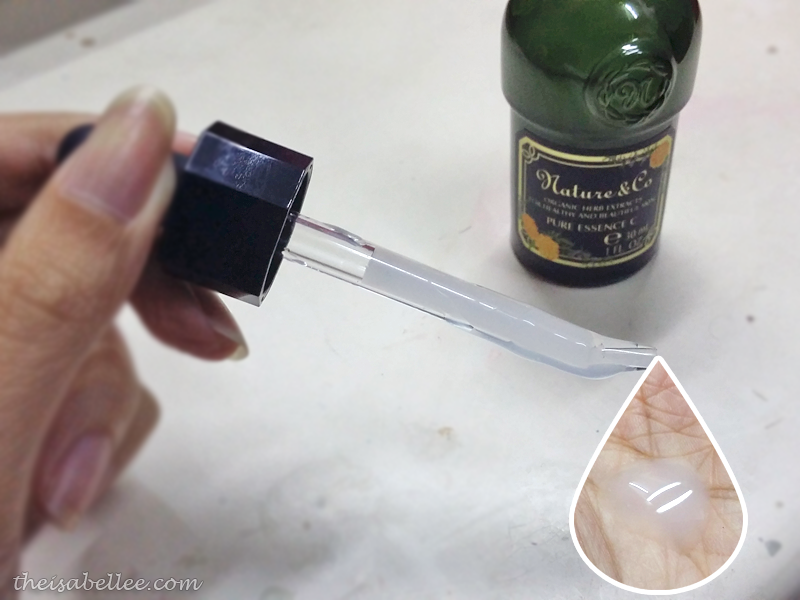 The cloudy essence comes with a dropper tool which keeps it sanitary. It's consistency reminds me of snail cream. A bit slippery when applied so massage well until absorbed. 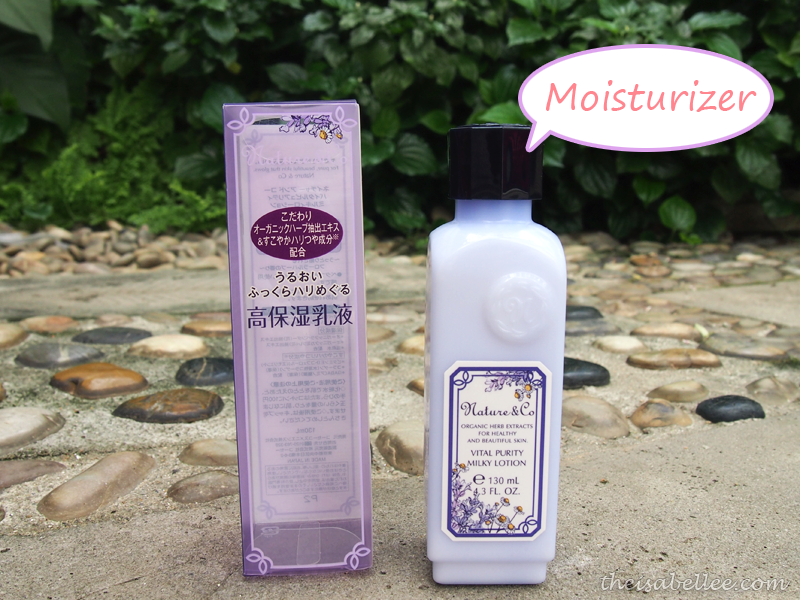 Unlike the milky lotion, it didn't make my face more oily and the perfume isn't so strong either. 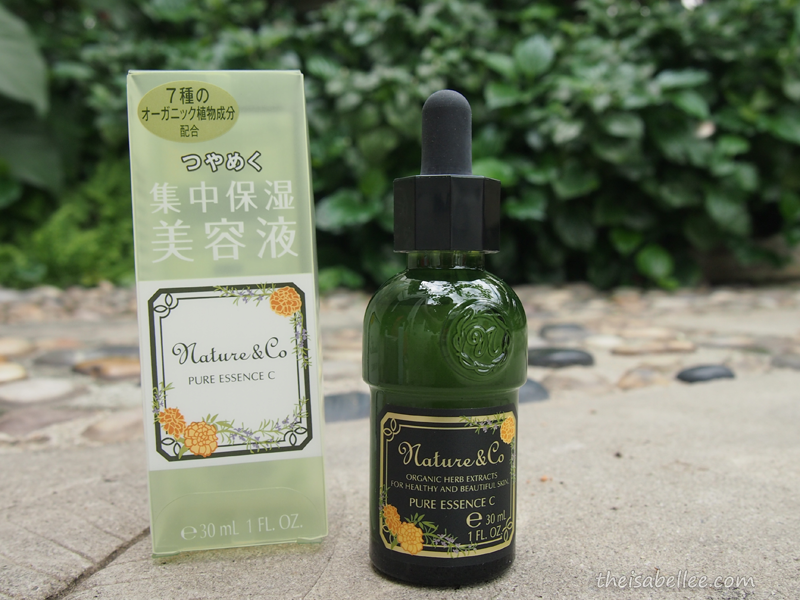 I bought this 30ml bottle for RM 52 during the sales period.